To email us, click: viewerservices@vermontpbs.org. For information about our Senior Staff, Board of Directors, and Community Council, visit Our People page. Please note that because of inherent international mail delays, correspondence via regular mail may take up to two weeks. 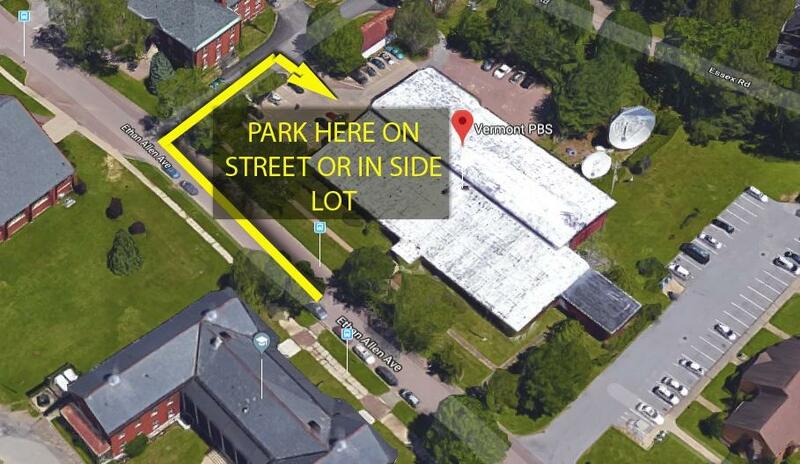 Our studio is in "the fort" (Fort Ethan Allen) at 204 Ethan Allen Avenue in Colchester. See below for directions and parking.